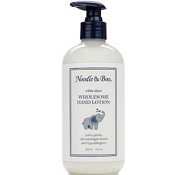 Noodle & Boo's signature Creme Douce fragrance delicately combines a fresh blend of peach and water blossoms, with just a touch of ripe mixed berries and clover honey, wrapped in soft notes of rich warm milk and vanilla beans. 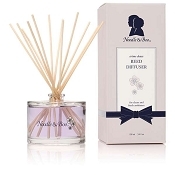 Directions: Mist the air lightly to fragrance your home and even gentle enough for the nursery. 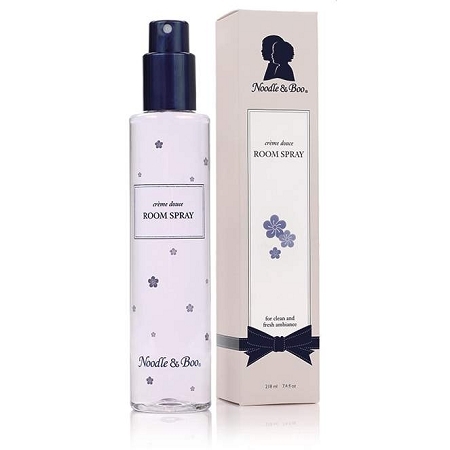 This room spray smells so yummy.it smells like a new baby. i'm going to be having a baby and i'm using it right now in my little boys room. It smells just like the yummy lotion. I'm excited to use it when the baby comes! its a very light smell. I kind of wish it was alittle stronger and the smell last a little longer. but it sure makes the nursery smell wonderful! And when I put the lotion on my little boy he gets so many compliments on how good he smells.